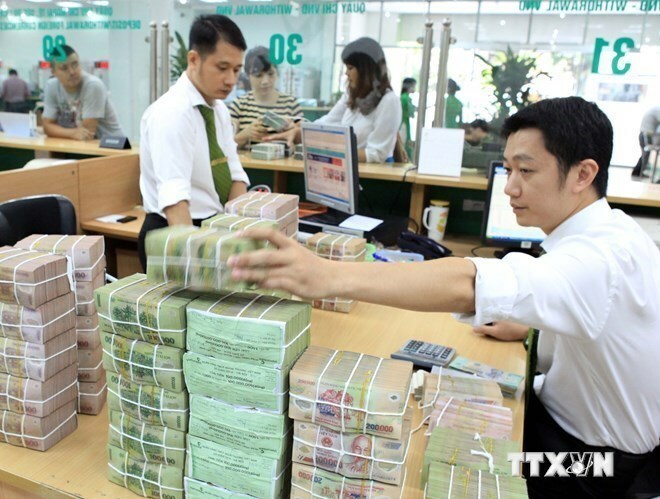 Hanoi (VNA) – The State Bank of Vietnam (SBV) set its reference VND/USD exchange rate at 22,470 VND/USD on September 28, up by 6 VND from the previous day. With the current /- 3 percent VND/USD trading band, the ceiling exchange rate is 23,143 VND per USD and the floor rate is 21,797 VND per USD. The prices of USD at major commercial banks almost remained unchanged. Vietcombank kept its buying rate at 22,695 VND and selling rate at 22,765 VND, per USD, unchanged from the rates set on September 27. BIDV also offered 22,695 VND (buying) and 22,765 VND (selling), per USD, both down 5 VND from a day ago.